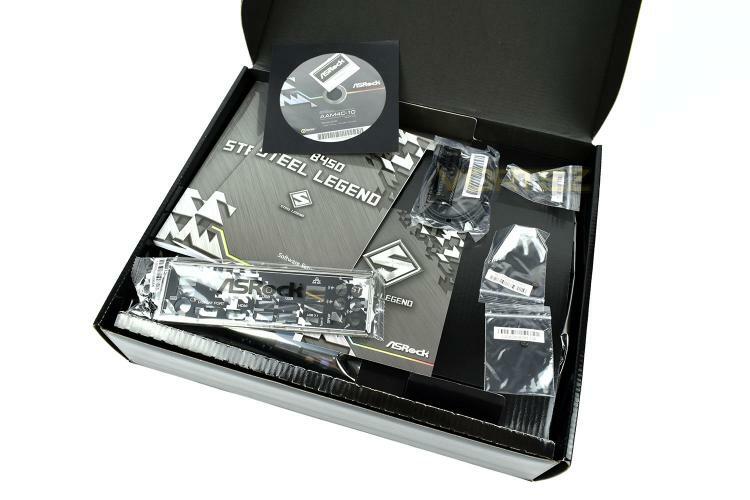 Obviously, with a name like Steel Legend, they couldn’t use a wood or plastic effect for their packaging, it absolutely had to be brushed steel with an overwhelming silver/grey theme. 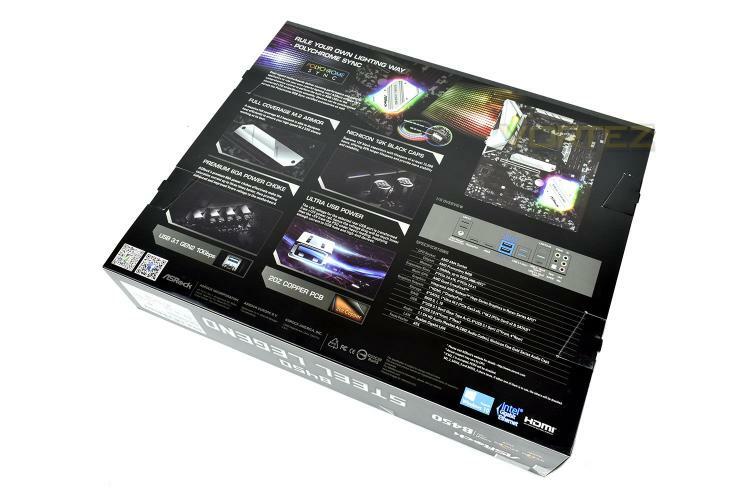 The front of the box gives some basic information, but most motherboard boxes are the same in this sense. The rear, however, is an entirely different story. Here we see any and all information we could ever need. 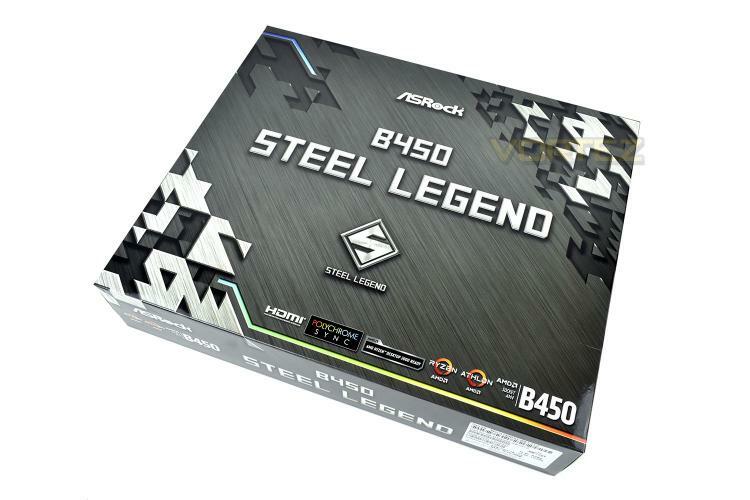 Unusually, the box is made up of an outer sleeve and an inner, thicker, cardboard box. 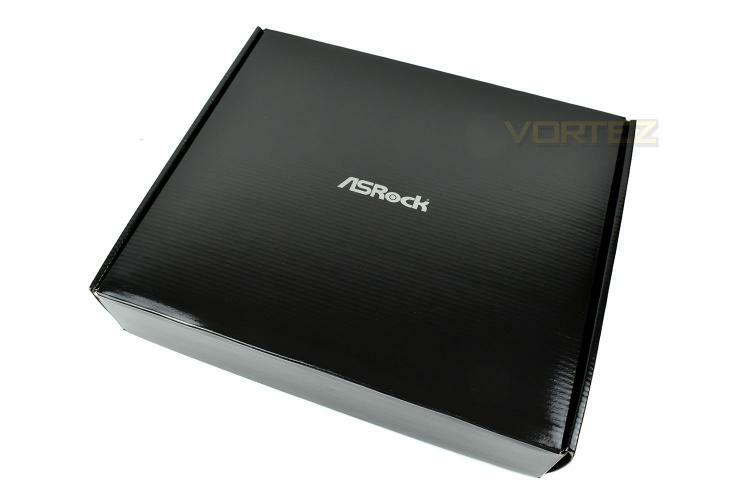 It’s black with an ASRock logo, nothing more to it. 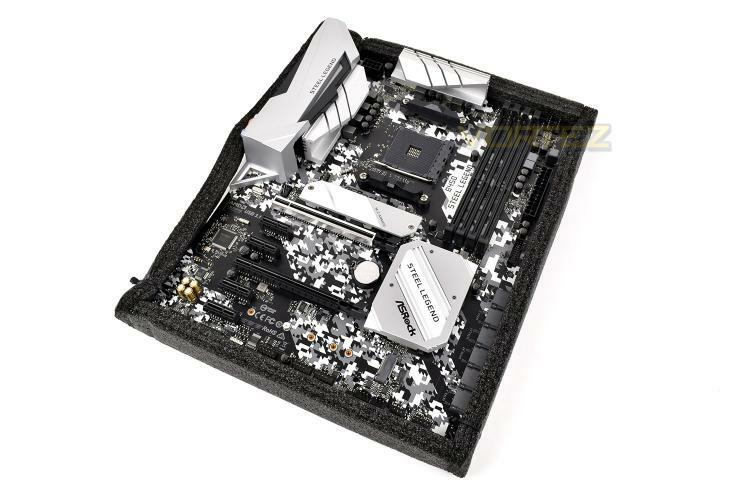 Something else which is a little different is that the soft foam packaging protecting the motherboard from damage in transit is locked in place using a cable tie in each corner. Be careful when removing these, the sharp metal snips or scissors that you’ll need could cause damage to the motherboard if a slip were to occur.